Joyetech eGo One CT Vape Kit - 2200mAh, applies Joyetech constant temperature technology. CT-Ti (Titanium)/CT-Ni (Nickel)/CW modes are available. We have pearl white, water blue and cherry red colors. I use this as my main device along with the CLR heads... It looks great.. It's small and portable.. It has good battery life... The tank does not leak.. It produces plenty of heat and a lot of vapor! It's awesome. 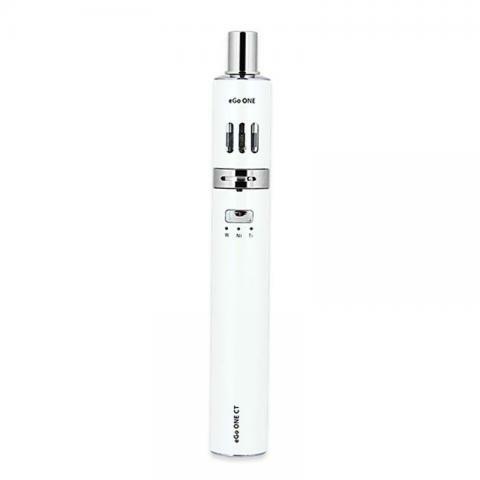 Joye eGo One CT is a very cheap and simple starter device,supporting constant temperature control.